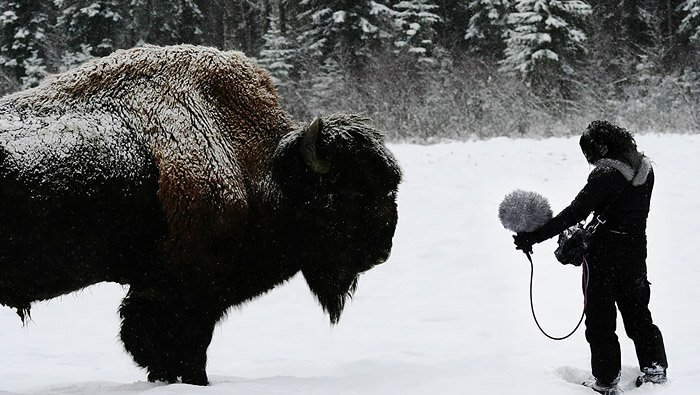 Another #sounddesign thread, this time about #soundeffects #fieldrecording for film! We don’t always have the time or budget to collect many new/unique sounds for every film, esp. on Marvel projects which are so busy. We also may not know what we need until a visual effect shows up, or we learn that something cut/designed isn’t working. Ideally, we put together a recording wish list at the very start of the project. These are sounds we don’t have in the library, or have but want better recordings of/variations of, or textures & components to use for designing. How about another #sounddesign thread? 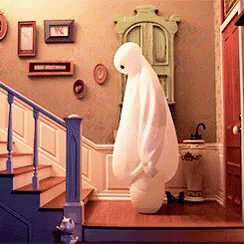 With gifs! This time about #BigHero6 and some tricks for humor. Animations are fun because no sound is recorded on “set.” It’s a blank slate. I love recording funny sounds. 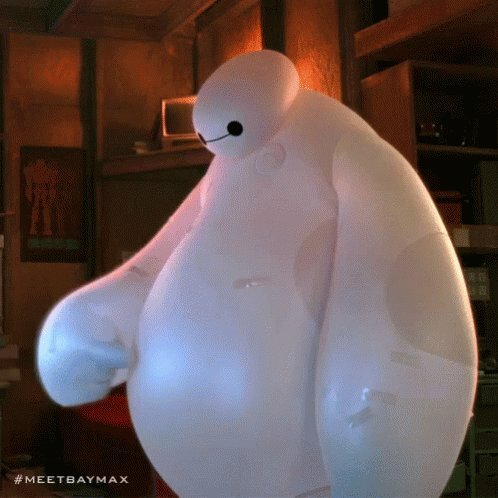 Baymax’s squeaky body was a yoga ball I sat on at work (good for spine!). There are so many ways to perform a squeaky prop. I manipulated every phrase I could out of it. Fast, slow, rhythmic, impacty. It had a nice resonant “inflated” feel. A lot of humor both visual and sonic comes from rhythm and pacing. (Sometimes in writing too!) A squeak in just the right moment, or a beat of silence so the next sound has more impact. Play with expectations. Long #sounddesign thread! First half will be obvious stuff to people in #filmsound #audiopost #postproduction, but maybe interesting to outsiders. Second half is about rhythm and the importance of silence. Viewers often think all sound is recorded magically on set. Nope! 90% of the sound is added in during post production. Ambiences, crowds, foley (footsteps, props, cloth movement), sound effects. Not just for films with lots of visual effects. The focus of on-set recording is to capture clean dialogue, and often even that may be replaced later if it’s too noisy, the line needs to be changed, or director wants a different performance. Sometimes the hardest part is translating clients’ explanations & descriptions into a sonic experience. Esp. true for surreality, ambiguous objects/powers, magic, etc. Often deciphering comes down to “just make it really cool”—which is all all about drumming up creative ideas. The Vormir plateau was more or less pitched as giant stone/magnetic tuning forks vibrating to create tiny vacuums in spacetime… I can’t go out and record giant vibrating stones or spacetime vacuums or mini black holes. So, where to start?